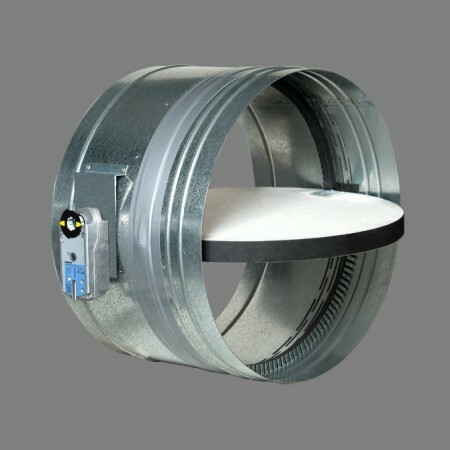 Fire dampers for circular duct mounting. Dampers for horizontal assembly, tested and classed EIS-120 (Integrity, Insulation and smoke leakage during 120 minutes) in accordance to the European standard EN-1366-2, to comply with building regulations for fire safety. Dampers with shutting mechanism by thermal fusible link at 72ºC. An expanding joint together an air-tightness joint, as much prevent the propagation of smoke to high as to low temperature.